The ground under Gisborne District Council’s original two-storey office block will be investigated before a decision is made on whether to strengthen the existing building or replace it. 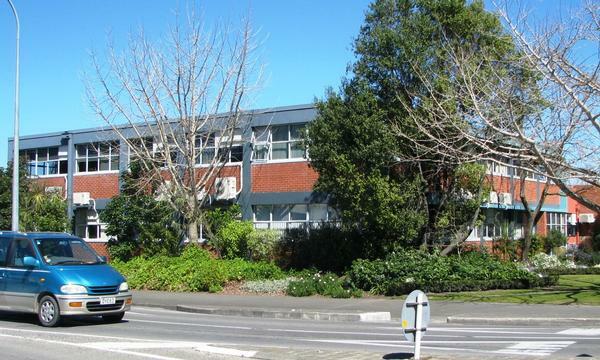 The 1954 Fitzherbert Street building does not meet new building standards and has been deemed earthquake prone. A notice to repair within five years has been issued by Council’s building services section. Because the office block is considered critical to respond to civil defence emergencies, it has to be strengthened to a higher degree than a retail store or private home. Currently it is only 19 percent of the required strength. Council has agreed to investigate ground conditions on the site and get a geotechnical report. The draft Ten Year Plan budget will include $3.4m to replace or strengthen the building. A report to Council this week advised replacing the old part of the Fitzherbert Street building at an estimated cost of $3.4m rather than spending $1.7 million strengthening it to modern earthquake standards. The proposed rebuild would for a 1200 square metre building. The initial estimate of $3.4m includes the cost of demolishing the existing building, building a new one including all services such as a lift and mechanical items, approximate costs of relocation and fit-out for temporary premises. The original 1954 Gisborne City Council office block is the only part of the complex affected. It is the two storey section at the front of the complex on the corner of Ormond Road and Fitzherbert Street. The single story extension which includes Council’s customer services and the 2003 two story extension facing the Taruheru River are not affected.